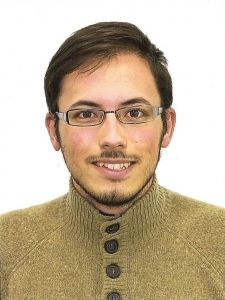 Manuel Reche Tamayo received a Master degree in Materials Science in 2017 at the University of Alicante (Spain). His Master thesis was developed under the supervision of Prof. Juan-Carlos Sancho-García in the Quantum Chemistry group and dealt with the modeling of cycloparaphenylenes reactivity towards chirality-specific synthesis of armchair carbon nanotubes. At the end of 2017, he joined as a PhD student the Chemistry of Novel Materials group at University of Mons and the Polymer Chemistry group at Sorbonne University Paris, in the context of a joint research project supervised by Dr. Patrick Brocorens and Prof. Laurent Bouteiller, respectively. The main goal of this project is to correlate the gelation sphere of Low molecular Weight Gelators (LMWG) with structural variations of the gelator, in order to design organogels of specific use in the fields of lubricants, petrochemical fluids, personal care, printing or coatings.